The Board of the North Carolina State Firemen’s Association recognizes the importance of being actively involved in Legislative issues affecting our members, as well as issues affecting the delivery of emergency services to our citizens. By building an informed advocacy network we have an increased ability to impact legislative decisions that impact our membership. Your involvement is a critical part of that advocacy, and keeping you informed of issues insures that we all work together for the betterment of the fire service. Regardless of whether an issue is State or Federal, in reality, “ALL POLITICS ARE LOCAL”. Become involved by getting to know your representatives at home. This is a report of the Legislative Committee of the NC Fireman’s Association and the NC Association of Fire Chiefs. It is intended to keep you up to date on legislation that may affect the fire service and related issues. It is not intended to be a legal description of legislation or its impact. Advocating for or against legislation is a democratic right, and individuals should use their best judgment in doing so. This information is provided to offer you our best estimated input and analysis of legislation of interest that may affect you. 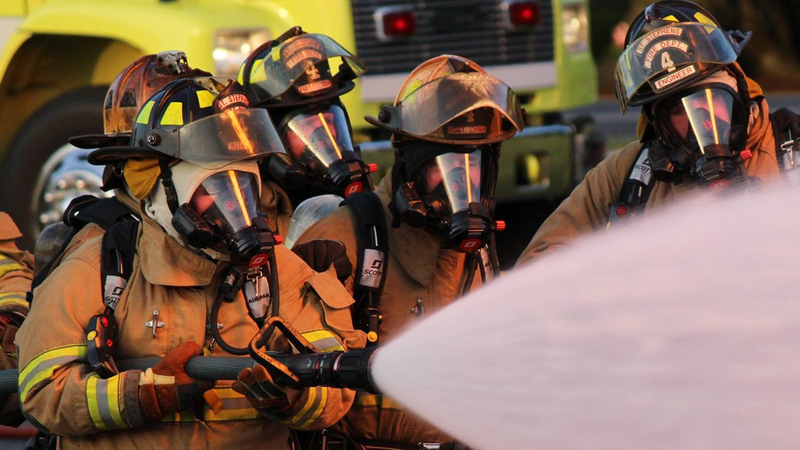 The following discusses both the NCSFA/NCAFC’s legislative priorities for North Carolina legislation, as well as current Federal initiatives that are being promoted by national organizations such as the National Volunteer Fire Council. These are issues and have not been introduced as legislation unless listed under State or Federal Bill tags. Any bills introduced either at the State or Federal level are listed above. Priority #1: Define “Firefighter in Statute”. The definition of the term “firefighter” has never been defined in statute, except for Article 86-25 of Chapter 58 which defines “eligible firefighter”. Eligible firefighter in GS 58-86-25 was written as criteria for receiving a year of eligibility is our Firefighter and Rescue Worker’s Pension Fund, which is actually more of a criteria for a benefit than a definition. However, since it is the only semblance of a definition for firefighter, it has become the gage in which to define firefighter in NC statute. The legislative committee of the NCSFA and NCAFC’s believe establishing a firm definition will benefit all of us and add clarity to the term “firefighter” in law. Priority #2: Make the use of Utility Vehicles by Fire and Rescue Departments on roadways legal. Currently NC law allows the use of ATV’s by fire, rescue, and law enforcement on certain highways in the official performance of their duties. However, the exemption does not list Utility Vehicles, which DMV defines as a separate class and would include Gators, Racers, etc. While we’re sure fire departments aren’t going to be ticketed for using these utility vehicles, it could cause legal implications if an accident were to occur and there wasn’t a legal exception for their use on highways. Priority #3: Monitor introduced legislation affecting the emergency services. Last year much of our legislative work involved reacting to studies and legislation coming from other sources, and working to make them attractive for our membership. This year our involvement will also monitor and react to any legislation that appears to impact emergency services. This priority will include working with other agencies that may want to submit changes we approve of, as well as any that might submit legislation we feel would have a negative impact. On the evening of May 5th, 2015 we will host our House and Senate members in a legislative reception, where we can share some food and fellowship in a casual environment. The next day we will go as a group to the Legislative Building and meet and greet them in a more formal setting and let them know what our goals are. Our goal is to have at least one member from each legislative district in Raleigh, so we need our members from the East, West and Piedmont to attend. Please mark your calendars now and plan to attend. Specific information will be posted on our web site as plans are finalized. In an effort to be as successful as possible on legislative initiatives affecting the fire service, the NC State Firemen's Association created this grassroots advocacy network. Remember when you join to visit the site regularly and make sure to keep your contact and profile information up to date.